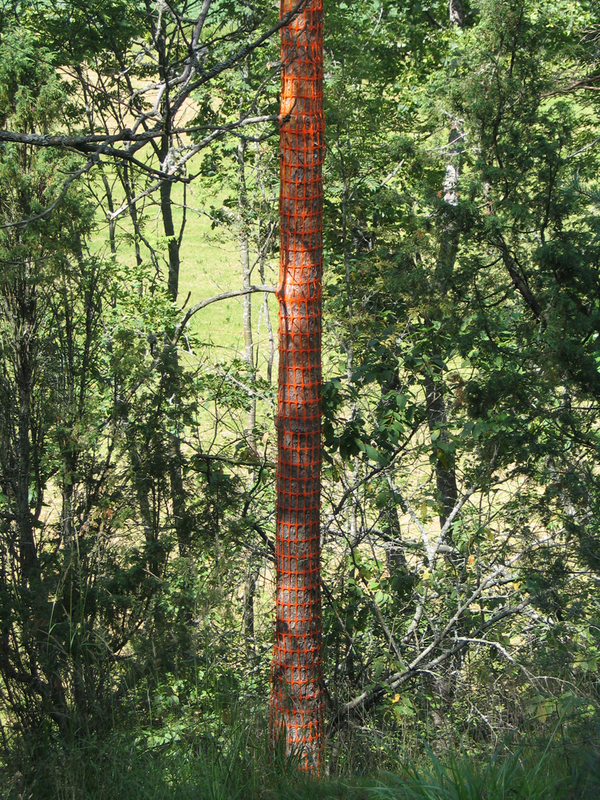 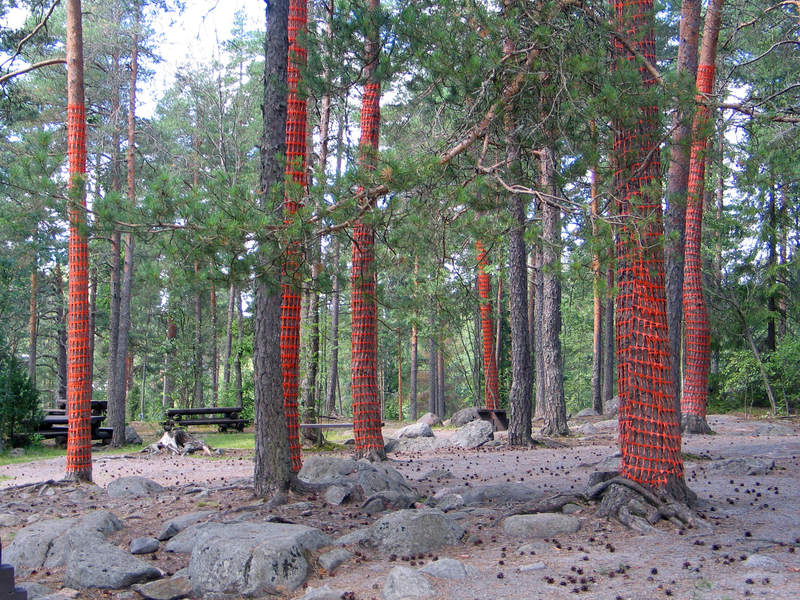 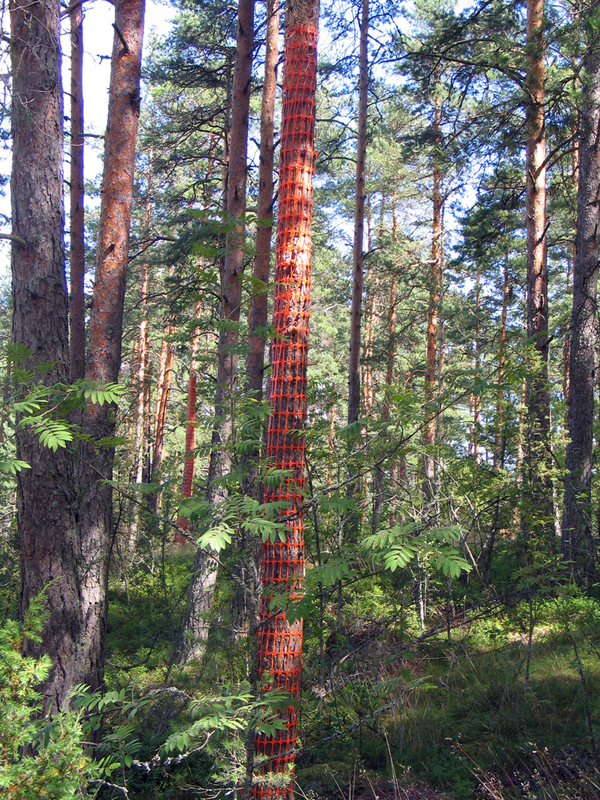 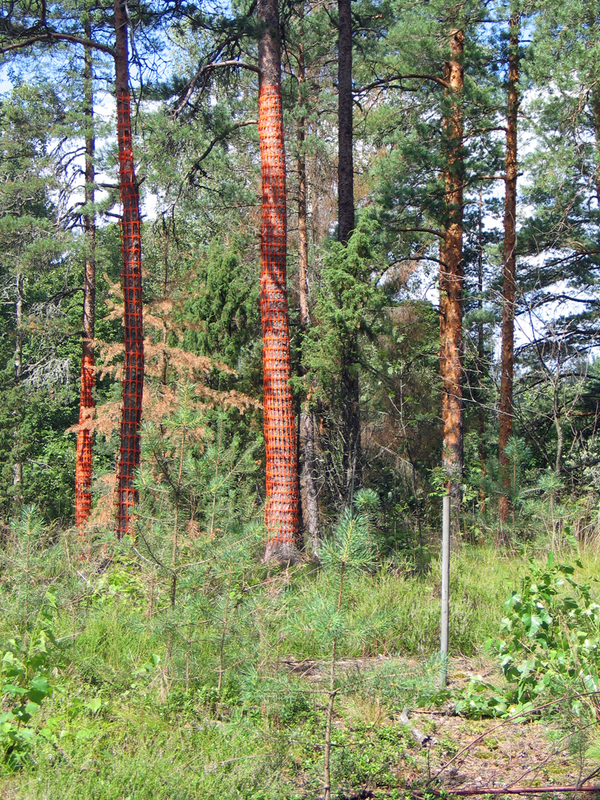 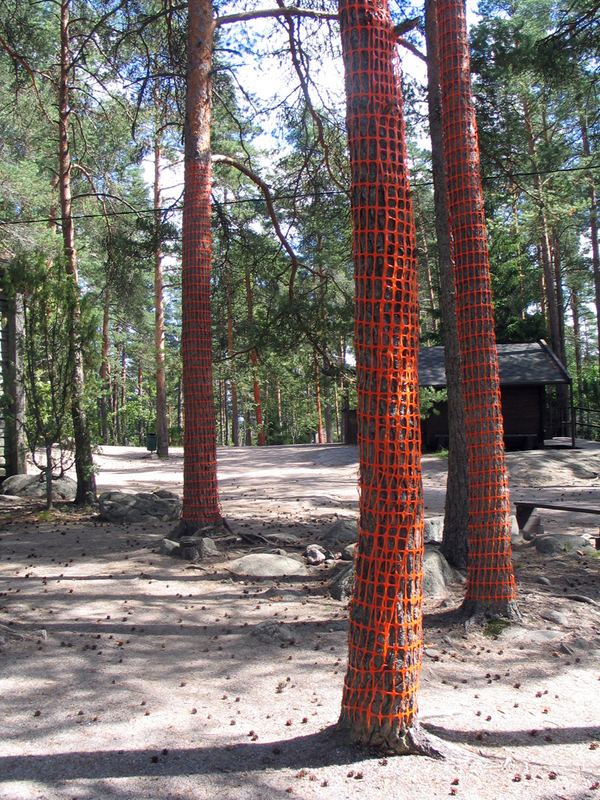 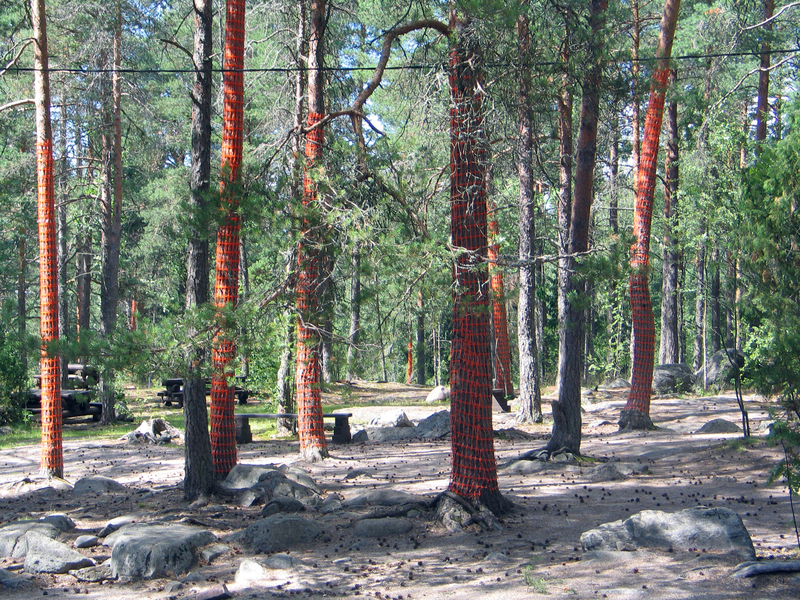 “Hommage à Halonen” is an environmental art work in which I wrap orange plastic construction site fence around the trunks of living pine trees. 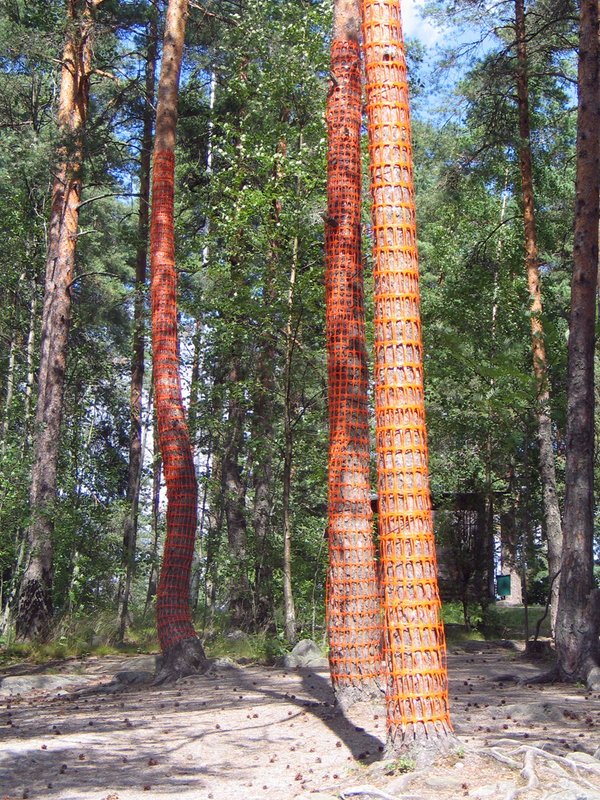 The work is three dimensional landscape painting. 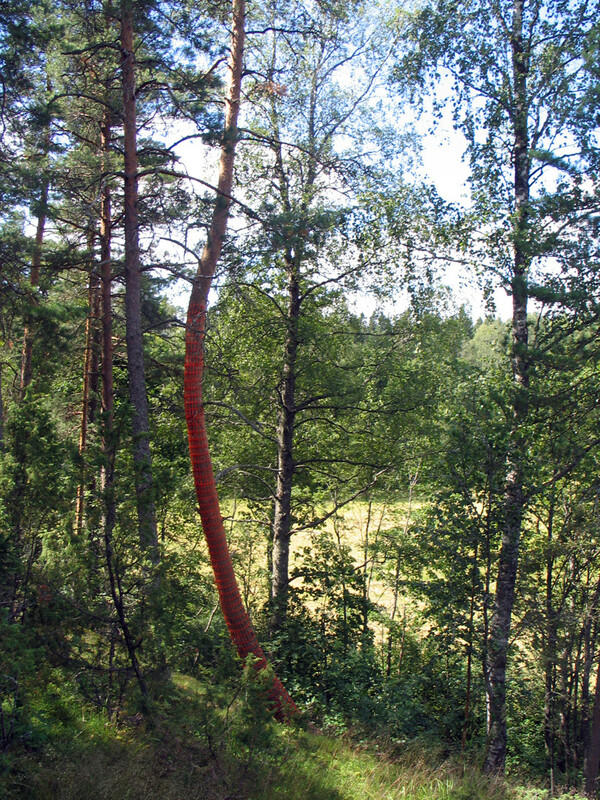 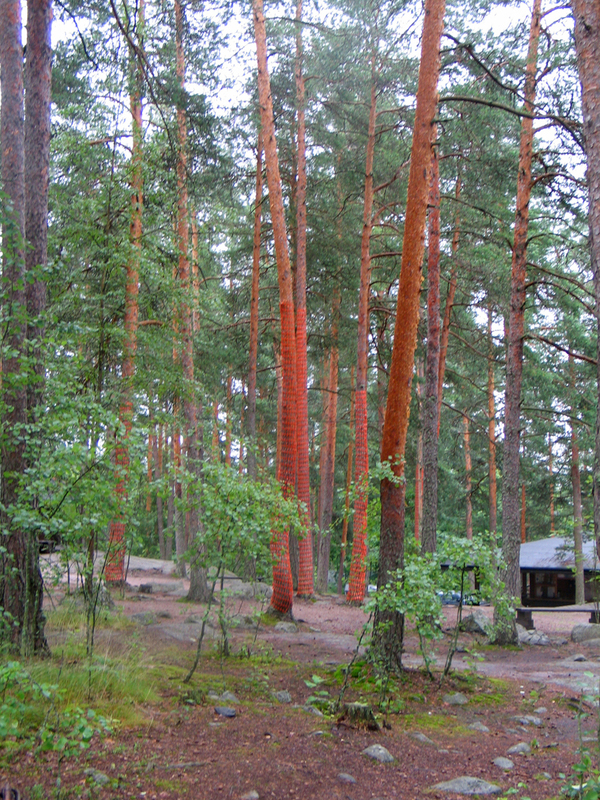 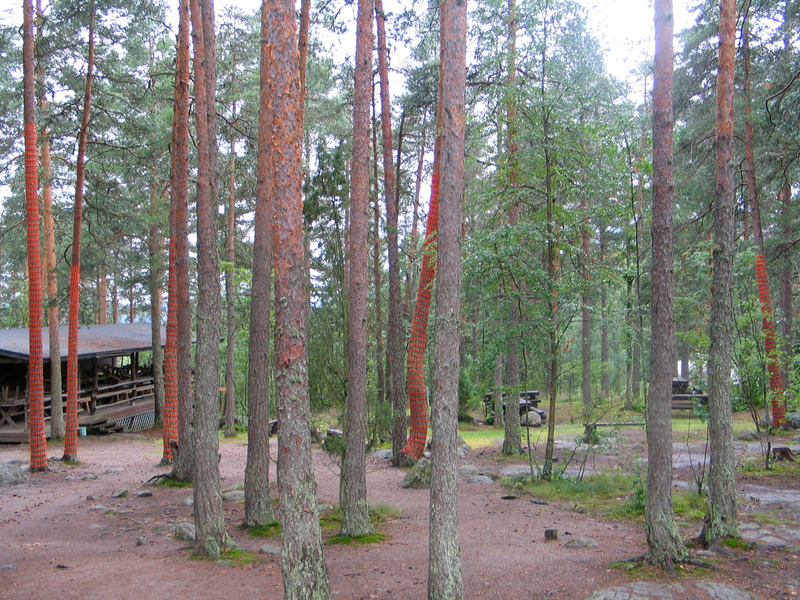 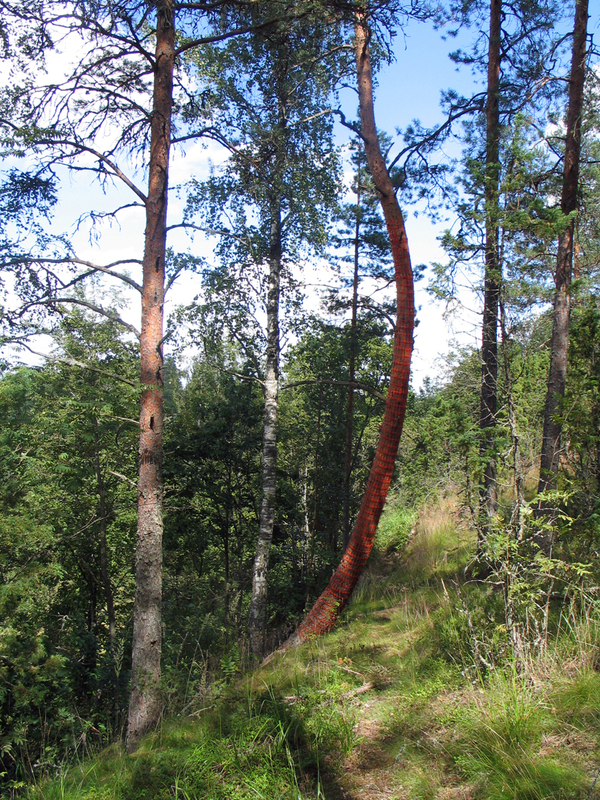 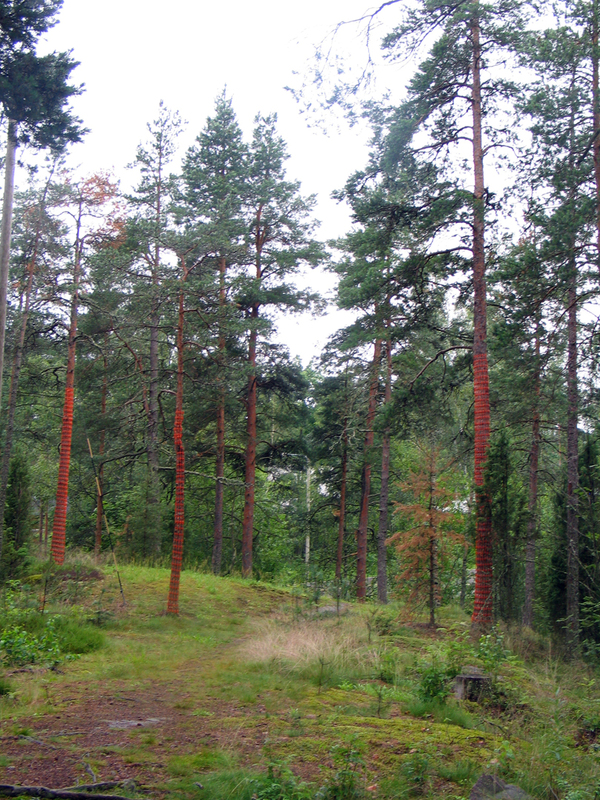 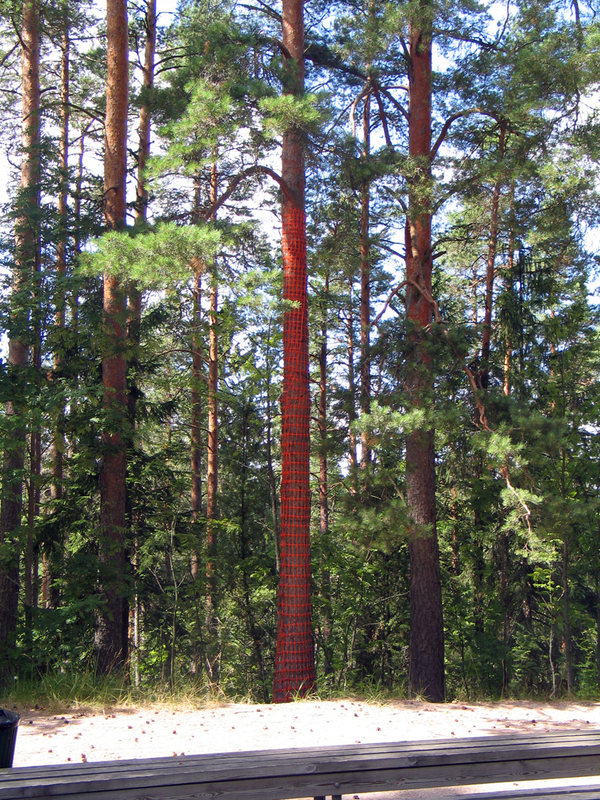 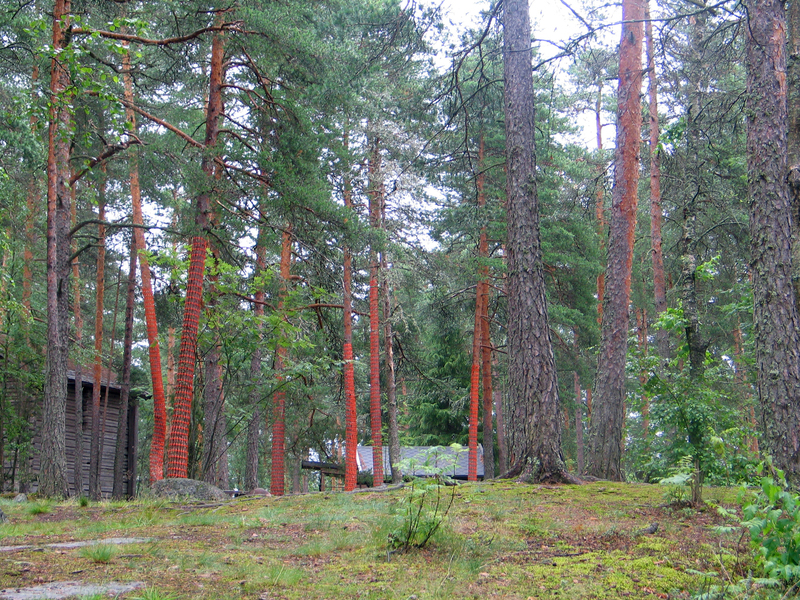 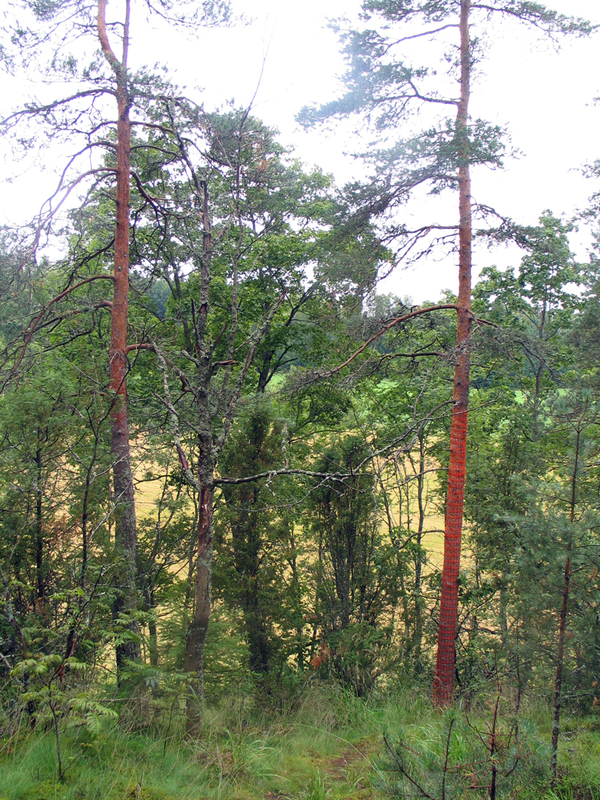 A reddish pine tree is a typical element in Finnish national romantic paintings. 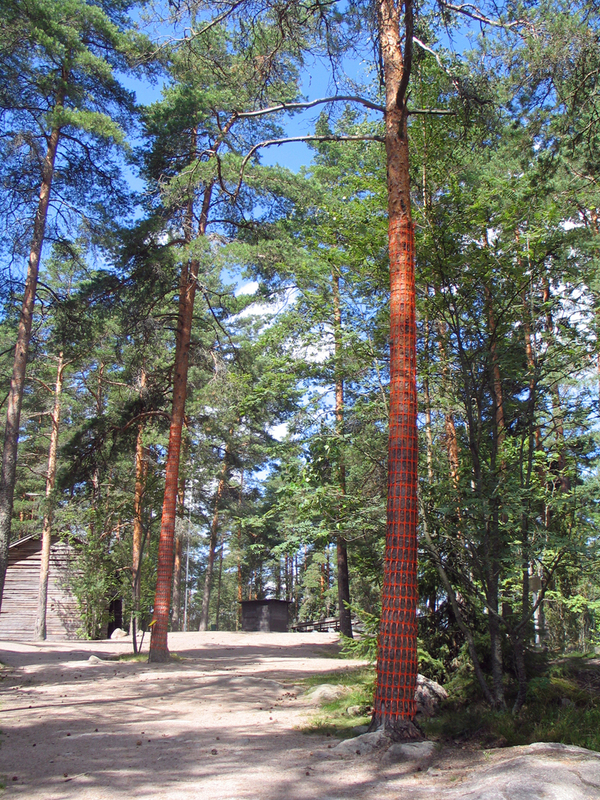 It is also a symbol of “green gold”, the wealth of Finnish paper- and timber industry. 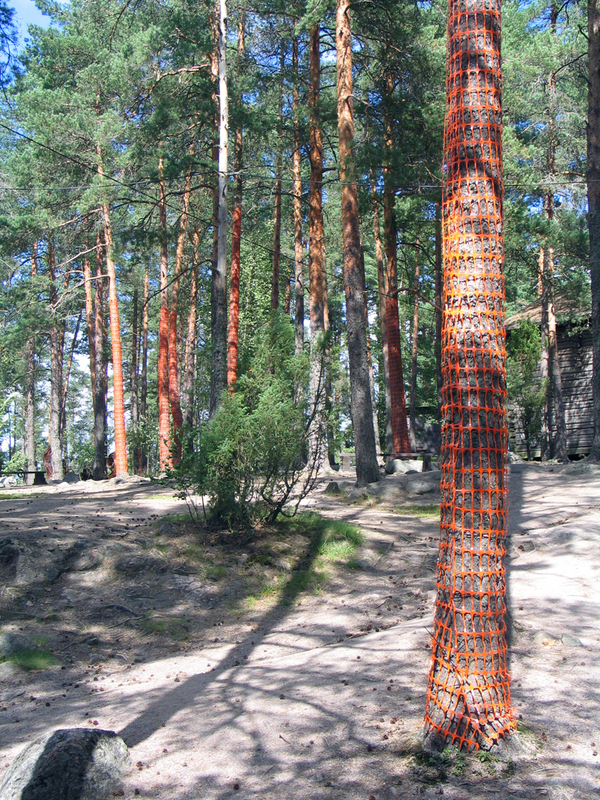 The construction site fence symbolizes the change – tearing apart and building, both in the woods and in the national identity. 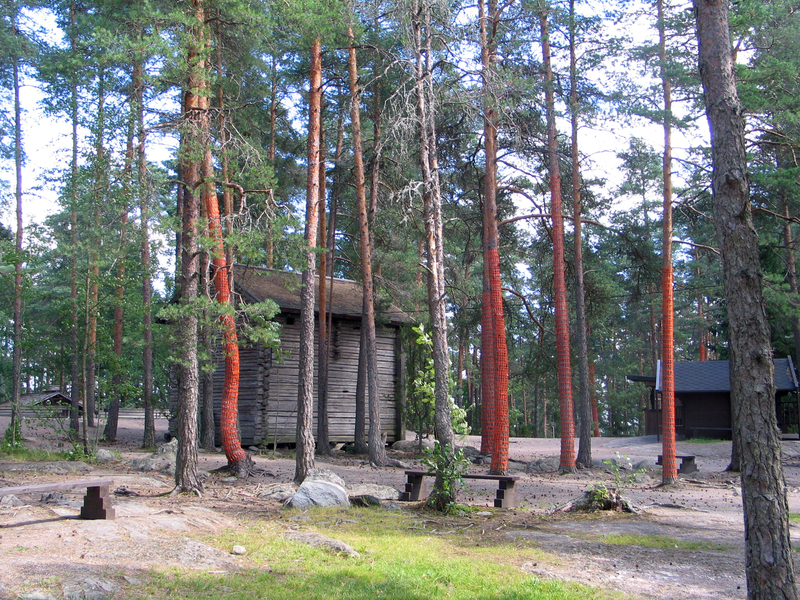 The name “Homage à Halonen” is a reference to two persons. 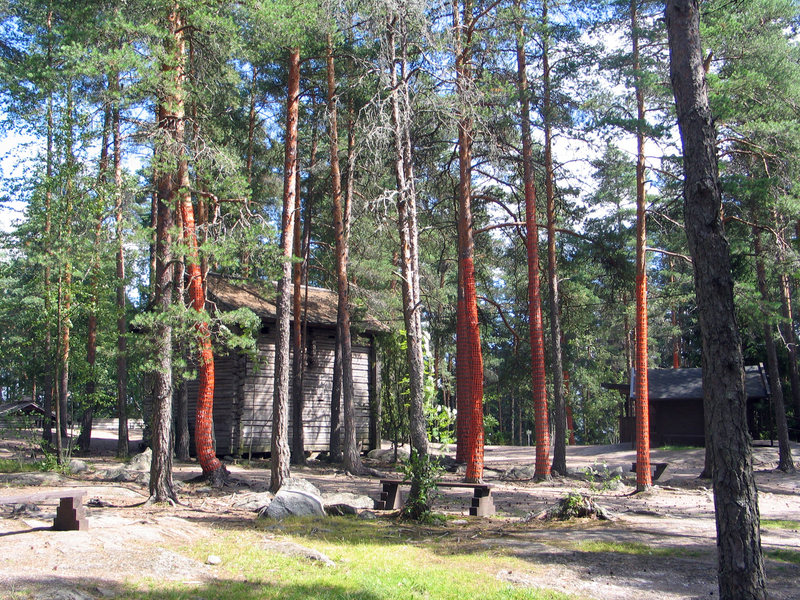 Pekka Halonen (1865-1933) was a famous Finnish painter who, among other things, painted national romantic landscapes. 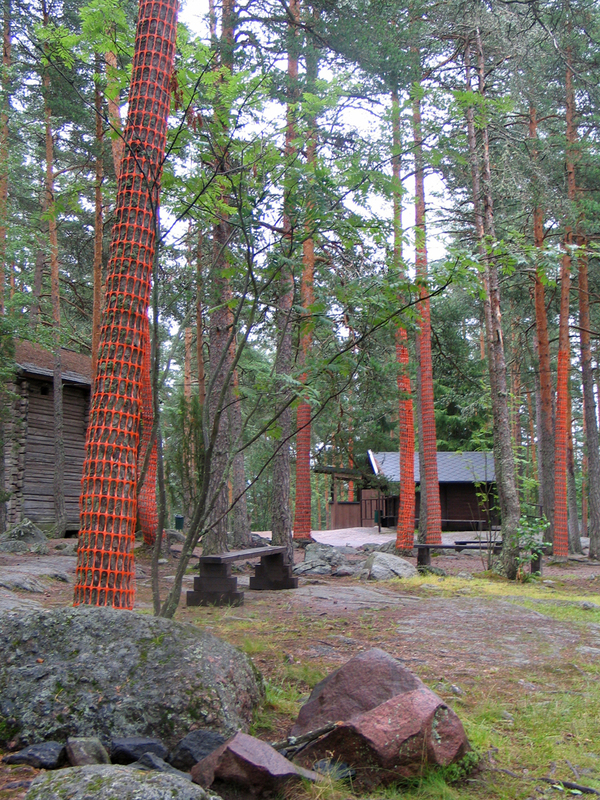 Tarja Halonen (1943-) was Findlands first female president; very popular, red haired and known for her work for a society more economically and sexually equal.